2014-2015 Chevrolet Camaro SS with a 6.2L V8 engine. 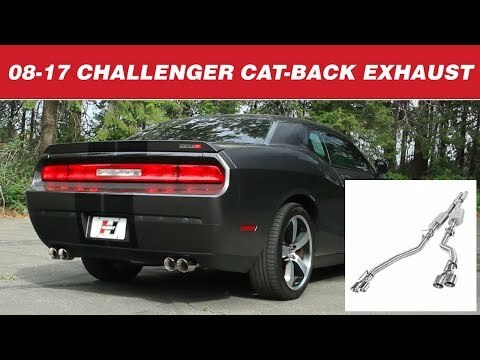 Does NOT fit models equipped with "Dual Mode Exhaust/Quad tip" option. 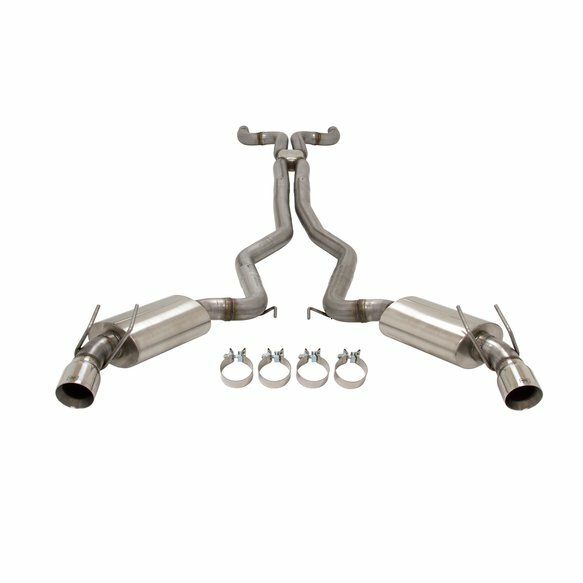 Hurst's new Elite Series Cat-back exhaust system for the 2014-2015 Camaro SS 6.2L V8 is constructed using the highest quality materials and finest craftsmanship available today. 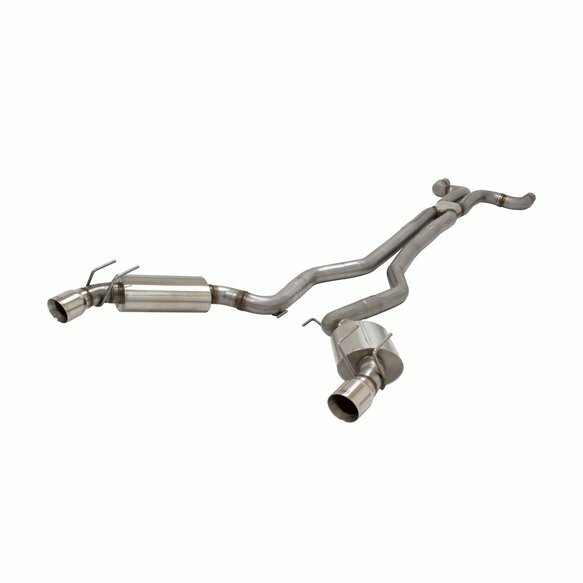 Hurst Elite Series systems feature fully mandrel-bent stainless steel tubing that has been custom-designed and exclusively manufactured by industry-leading Flowmaster Inc. to ensure a precise fit every time! 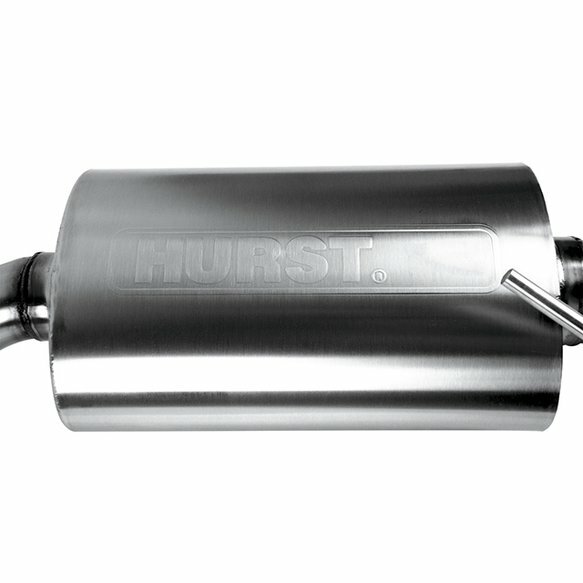 The Hurst engineers then added an X-pipe crossover which provides maximum scavenging, sound, and performance, and paired it with a set of fully polished stainless steel Hurst mufflers. 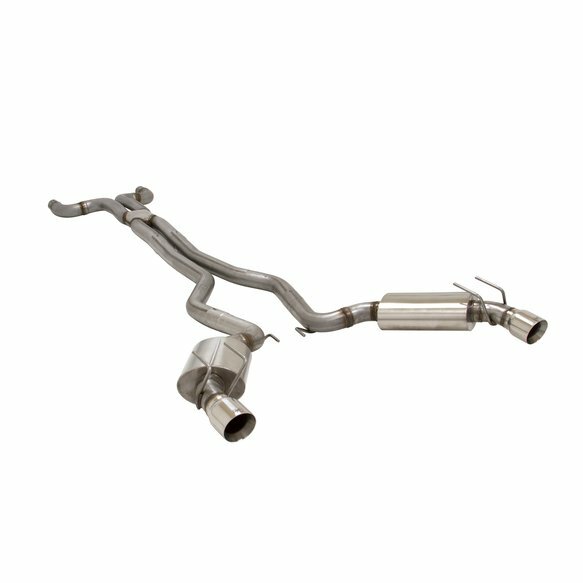 The mufflers utilize a high-thermal sound absorption barrier with a large 3in straight-through performance core that provides a deep, classic tone reminiscent of Hurst's iconic heritage. 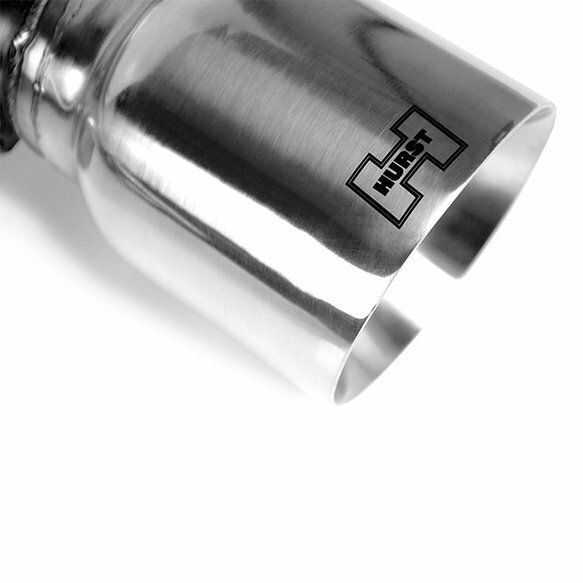 The 4.0in mirror-polished stainless steel tips, featuring laser-etched Hurst logos, finish off the system and put the world on notice that you're serious about performance and style. You can take comfort and pride in knowing that every Hurst Elite Series Cat-back exaust system is hand-fabricated in the USA and backed by a Lifetime Limited Warranty. Note: Does Not Fit models equipped with the "Dual Mode Exhaust/Quad Tip" option.